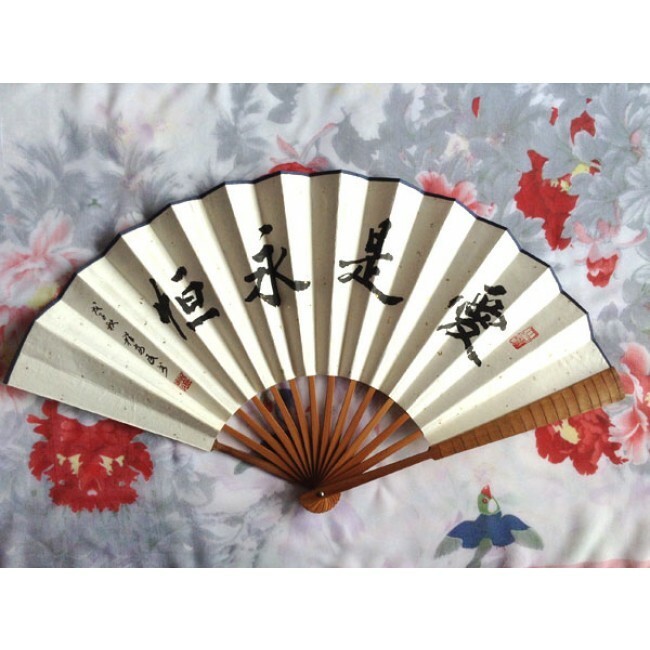 The Chinese fan is made of bamboo and paper, handwritten with Chinese brush calligraphy. The Chinese symbols say "love is eternal". Dated and stamped by the calligrapher.